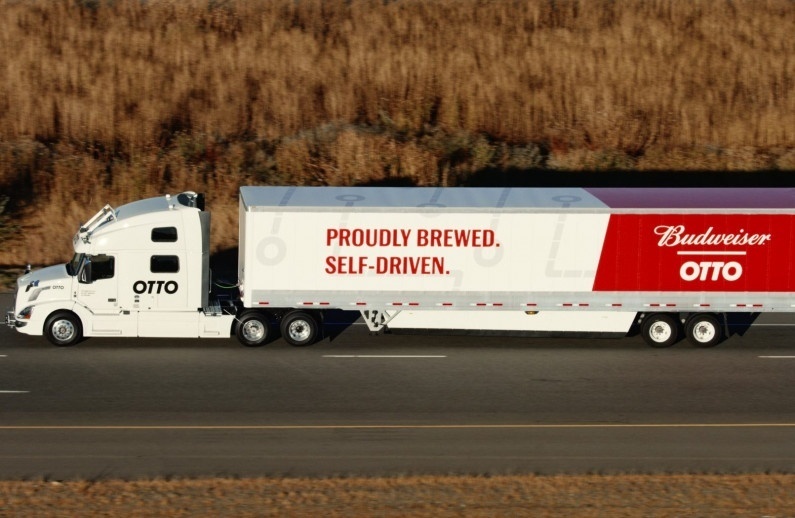 Self-driving convoys of lorries are set be tested on some of Britain’s public roads late next year, after similar testing was carried out in Europe two years ago. The trucks will be wirelessly linked, which will allow them to synchronise braking and accelerating – this technique is known as ‘platooning’, and is hoped to significantly improve congestion on the roads. There is one human driver, who controls the leading truck, with all the other trucks in the convoy responding immediately to the leading truck. Due to this synchronised braking system, the self-driving lorries can drive much closer to one another than they would otherwise be able to do with human drivers. This in turn reduces wind resistance, congestion and as a result lowers fuel consumption. Advances in this technology could be a huge benefit to businesses, and other road users. Lower fuel emissions mean cheaper fuel bills, and hopefully less hassle for those on the roads. The trial will be carried out in three stages; the first trial will focus on the potential for platooning on the UK’s major roads. Information from this test will then help determine details such as distance between the lorries, and which roads would be best suited for the self-driving vehicles if they are used within the UK. These trials are expected on the roads by the end of 2018, and the Transport Research Laboratory have reassured drivers that each phase of the testing will only be undertaken when the previous phase has completed safely. However, some motoring groups have questioned the usefulness and the safety of the autonomous vehicles. A spokesperson for the AA expressed their concerns, stating that despite “wanting to promote fuel efficiency and reduce congestion” they are “not yet totally convinced that platooning on UK Motorways” is the best way to achieve this. The RAC foundation echoed these concerns, stating that “streams of close-running HGVs could provide financial savings on long-distance journeys, but on the UK’s heavily congested motorways, with stop start traffic, and constant lane changes, the benefits are less certain”. Finally, it’s unclear how this move to platooning lorries will impact on the jobs situation in transport – moving to one driver for an entire convoy is an effective way to streamline, but the implications could be considerable.